Question 2: We believe, by putting our faith in and following the Lord, we can attain eternal life. The Lord’s word backs this up: The Lord Jesus said, “I am the resurrection, and the life: he that believes in me, though he were dead, yet shall he live: And whoever lives and believes in me shall never die” (Jhn 11:25-26). “But whoever drinks of the water that I shall give him shall never thirst; but the water that I shall give him shall be in him a well of water springing up into everlasting life” (Jhn 4:14). These passages are the Lord Jesus’ promise. The Lord Jesus can grant us eternal life, the way of the Lord Jesus is the way of eternal life. And the Bible says, “He that believes on the Son has everlasting life: and he that believes not the Son shall not see life; but the wrath of God stays on him” (Jhn 3:36). Is the Lord Jesus not the Son of man, is He not Christ? We could gain the way of eternal life by faith in the Lord. But you testify that Christ of the last days will bring us the way of eternal life. I don’t quite understand this, we are all followers of the Lord Jesus Christ. Why is this not enough to attain the way of eternal life? So why do we also have to accept the words and work of Christ of the last days? Answer: The Lord Jesus is God become flesh, is God’s appearance. The Lord Jesus said, “And whoever lives and believes in me shall never die” (Jhn 11:26). “… the water that I shall give him shall be in him a well of water springing up into everlasting life” (Jhn 4:14). The Bible says, “He that believes on the Son has everlasting life” (Jhn 3:36). These words are all truth, they are all fact! Because the Lord Jesus is God become flesh, He has God’s substance and identity. He is Himself the way of everlasting life. All that He says and does is a natural manifestation of the life of God. All that He expresses is truth and what God has and is. So the Lord Jesus is Himself everlasting life, and can grant the way of eternal life. He can bring the dead back to life. By believing in the Lord Jesus, we believe in the only true God, and thus can receive eternal life. This is without question. The Lord Jesus’ resurrection of Lazarus is good proof that the Lord Jesus can grant us the way of eternal life, He has this authority. Then, why is it that the Lord Jesus did not grant the way of eternal life during the Age of Grace? This is because, the Lord Jesus came to be nailed to the cross in order to redeem mankind, not to do the work of purification and salvation as in the last days. The Lord Jesus’ work of redemption was only concerned with pardoning man’s sins, but it didn’t rid man of his satanic nature and disposition. So, by believing in the Lord, we were pardoned for our sins, but our satanic disposition was by no means cleansed. We still sin in spite of ourselves, resist and betray God. Isn’t this the truth? We need to be clear on something. The Lord Jesus’ redemptive work during the Age of Grace paved the way for the work of judgment in the last days, so, after the Lord Jesus had completed the work of redemption, He promised that He would come again. The Lord Jesus once said, “I have yet many things to say to you, but you cannot bear them now. However, when he, the Spirit of truth, is come, he will guide you into all truth: for he shall not speak of himself; but whatever he shall hear, that shall he speak: and he will show you things to come” (Jhn 16:12-13). From the words of the Lord Jesus we can see only when the Lord comes again in the last days will He express all truth that purifies and saves man. 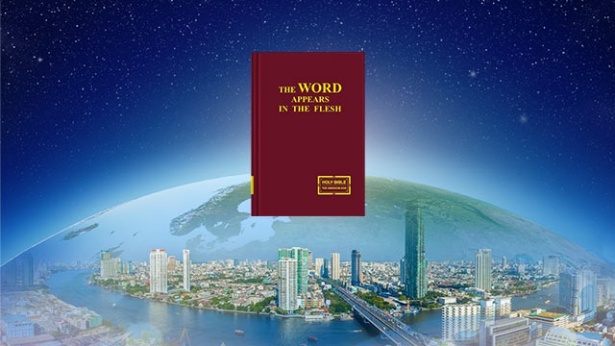 Here, “the Spirit of truth, is come, he will guide you into all truth.” These truths are exactly the truths that Almighty God of the last days expresses in purifying and saving mankind. They are the words the Holy Spirit says to the churches, and they are the way of eternal life which God has bestowed upon mankind in the last days. This is why the Lord’s followers were unable to obtain the way of eternal life in the Age of Grace. The Lord Jesus said, “And whoever lives and believes in me shall never die.” And the Bible also says, “He that believes on the Son has everlasting life.” But actually, the Lord said this to testify to the fact that He Himself is God’s appearance, and only He can grant man eternal life. The Lord Jesus’ promise that those who believe in Him would never die is a testimony to God’s authority. God is Himself the way of eternal life, God is capable of granting man eternal life. This is not to say that man has received eternal life upon accepting the Lord Jesus’ work. Everyone can understand this. Let’s think about it: If we could receive eternal life merely by experiencing the Lord Jesus’ work in the Age of Grace, then why did the Lord Jesus say He would return? If we only believe in the Lord Jesus but do not accept His return, then are we people who follow the Lamb’s footsteps? Are we people who truly believe in God? Will the Lord Jesus acknowledge people like this? Aren’t we forsaking and betraying God by doing this? Therefore, in our belief in God, not only do we have to believe in the Lord Jesus Christ and experience the Lord Jesus’ words and work in the Age of Grace, but we also have to accept His return and experience the words and work of Christ of the last days. Only then will we truly believe in the Son and will be raised up before God’s throne to attend the wedding feast of the Lamb, and only people like this will receive eternal life, and that’s a fact. As we all know, despite the fact that when we accepted the Lord Jesus’ redemption in the Age of Grace, our sins were forgiven and we were granted the right to pray to God and enjoy His grace and blessings, it cannot be denied at this time, we are still constrained by our sinful nature, we still live helplessly in sin, we are utterly incapable of practicing the Lord’s word and have no real reverence and obedience to God. At this time, we could often still lie and deceive God, we seek after fame and fortune, lust for money and follow the trend of the world. Especially when the work of God is not in line with our notions, we would blame, judge and even resist God. We couldn’t even repent truly, so could we attain the Lord’s approval? Even though many men are able to follow, testify to, even sacrifice their lives for the Lord, and have truly repented, in reality, have their corrupted dispositions been cleansed? So do they truly know the Lord? Have they actually rid themselves of Satan’s influence and been gained by God? Absolutely not, this is a commonly acknowledged fact. This is sufficient to prove that the work of the Lord Jesus during the Age of Grace was merely a work of redemption. It was definitely not the work of salvation and perfection of the last days. The words the Lord Jesus expressed during the Age of Grace merely gave people the way of repentance, not the way of eternal life, so this is why the Lord Jesus said He would come again. The return of the Lord Jesus is to do the work of expressing the truth and bestowing upon man the way of eternal life, so that they may thoroughly wrest themselves from Satan’s influence and gain the truth as life to become men who know God, obey God, revere God and become compatible with God, so that they may enter into the kingdom of heaven and gain eternal life. 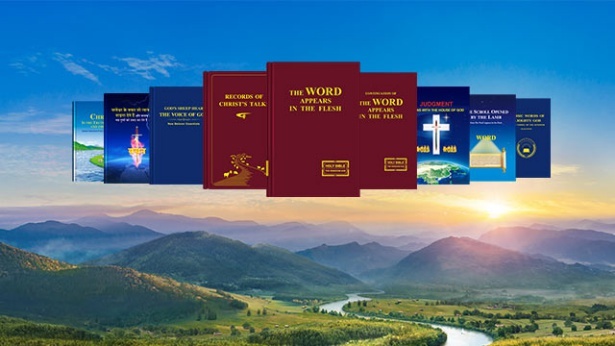 On the foundation of the Lord Jesus’ work of redemption, Almighty God in the last days has commenced the work of judgment starting from God’s house and has expressed all truths to purify and save mankind. He has revealed to mankind God’s righteous, majestic, and unoffendable disposition, judged and exposed the substance and fact of man’s corruption by Satan. He has unearthed the root of man’s rebellion and resistance to God, and told man all of God’s intentions and requirements. At the same time, He has explained to mankind in clear terms all of the truths which man needs to receive salvation, such as the inside story and the substance of all three stages of God’s work of salvation as well as the relationship between these three stages, the difference between the work of God and the work of man, the inside story and truth of the Bible, the mystery of the judgment in the last days, the mystery of the wise virgins being raptured and that of perfecting people into overcomers before the disasters, the mystery of God become flesh, and what it means to truly believe in, obey and love God, how to revere God and shun evil to become compatible with Christ, how to live out a life of meaning, and so on. These truths are the way of eternal life bestowed by God upon mankind in the last days. So, if we wish to gain truth and life, attain salvation, purification and be perfected, then we must accept and obey the words and work of Almighty God, Christ of the last days. This is the only way that we may attain truth and life. Let’s have a look at the words of Almighty God. Almighty God says, “God Himself is life, and the truth, and His life and truth coexist. Those who are incapable of gaining the truth shall never gain life. Without the guidance, support, and provision of the truth, you shall only gain letters, doctrines, and, moreover, death. God’s life is ever-present, and His truth and life coexist. If you cannot find the source of truth, then you will not gain the nourishment of life; if you cannot gain the provision of life, then you will surely have no truth, and so apart from imaginations and conceptions, the entirety of your body shall be nothing but flesh, your stinking flesh. Know that the words of books do not count as life, the records of history cannot be feted as the truth, and the doctrines of the past cannot serve as an account of words presently spoken by God. Only that which is expressed by God when He comes to earth and lives among man is the truth, life, God’s will, and His current way of working. If you apply the records of words spoken by God during past ages to today, then you are an archaeologist, and the best way of describing you is as an expert on historical heritage. That is because you always believe in traces of the work that God did in times gone by, only believe in the shadow of God left from when He previously worked among man, and only believe in the way that God gave to His followers in former times. You do not believe in the direction of God’s work today, do not believe in the glorious countenance of God today, and do not believe in the way of truth presently expressed by God. And so you are undeniably a daydreamer who is completely out of touch with reality. If now you still cling to words that are incapable of bringing life to man, then you are a hopeless piece of deadwood, for you are too conservative, too intractable, too impervious to reason! Those who wish to gain life without relying on the truth spoken by Christ are the most ridiculous people on earth, and those who do not accept the way of life brought by Christ are lost in fantasy. And so I say that the people who do not accept Christ of the last days shall forever be despised by God. Christ is man’s gateway to the kingdom during the last days, which none may bypass. None may be perfected by God except through Christ. You believe in God, and so you must accept His words and obey His way. You must not just think of gaining blessings without receiving the truth, or accepting the provision of life. Christ comes during the last days so that all those who truly believe in Him may be provided with life. His work is for the sake of concluding the old age and entering the new one, and is the path that must be taken by all those who would enter the new age. If you are incapable of acknowledging Him, and instead condemn, blaspheme or even persecute Him, then you are bound to burn for eternity, and shall never enter the kingdom of God” (“Only Christ of the Last Days Can Give Man the Way of Eternal Life” in The Word Appears in the Flesh). Almighty God, Christ of the last days, has expressed all the truths which will purify and save mankind. These words are abundant, comprehensive and have all the sustenance which God provides. They open our eyes and enrich our knowledge, allowing us to see that Christ is the truth, the way, and the life. Christ is the way of eternal life. The words that God has expressed in the Age of Kingdom go far beyond all that was said during the Age of Law and the Age of Grace. Especially, as in “God’s Utterances to the Entire Universe” in The Word Appears in the Flesh, God makes Himself known for the first time to all of humanity. It is also the first time humankind hears the Creator’s utterances to all of man. This has sent shockwaves through the entire universe, and opened the eyes of man. This is the work of judgment before the great white throne in the last days. The Age of Kingdom is the age in which God does the work of judgment, and is the age in which God’s righteous disposition is made manifest to all mankind. So, in the Age of Kingdom, God expresses His word, judging, purifying and perfecting man. He sends down all manner of disasters upon man, rewarding the good and punishing the wicked. He reveals God’s righteousness, majesty and wrath to mankind. All of the truths that Almighty God expresses to purify, save and perfect man are the way of eternal life God bestows on man in the last days. These truths are the water of the river of life which flows from the throne. So, in our belief in God if we want to gain the way of eternal life, and attain rapture and enter the kingdom of heaven, we must accept the work of judgment of Almighty God, Christ in the last days, as well as the judgment and chastisement of His words. Only this way can we gain the work of the Holy Spirit, understand and gain the truth, achieve purification, and be saved. Only those who undergo Almighty God’s judgment and chastisement in the last days are entitled to enter into God’s kingdom. This is an absolute fact! If we continue to hold on to our own religious notions, in the end it will be we that suffer a loss. The wise virgins only focus on seeking the truth and listening to God’s words, but the foolish virgins only keep to the letters of the Bible and their concepts and imaginations, and do not seek the truth or listen to God’s voice. Then one day, they will suddenly fall into disaster and be weeping and gnashing their teeth, and even regret will be useless. So, all those who do not accept Almighty God will fall into disaster and be punished. This is what God has ordained and no one can change it. Particularly those who wildly condemn Almighty God’s work in the last days have already been revealed by God to be the antichrists of the last days—those people will suffer eternal punishment and will no longer have the chance to meet God. 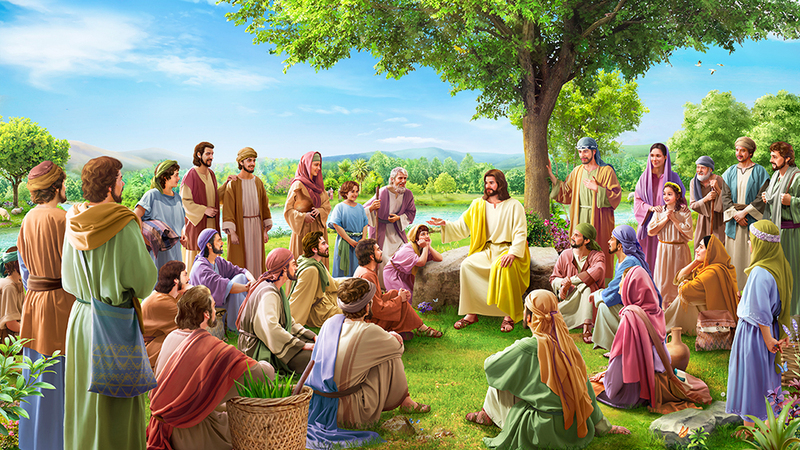 It is clear that Almighty God’s work in the last days is to classify man according to kind, to determine people’s outcomes, and conclude the age. Previous：Question 1: The Bible is a testimony to God's work, it has been of inestimable benefit to mankind. Through reading the Bible, we come to understand that God is the Creator of all things, we come to see the wondrous and mighty deeds, and omnipotence of God. Since the Bible is a record of God's word and man's testimony to God, then why can one not receive eternal life from reading the Bible? Is there no way of eternal life in the Bible? Next：Question 1: You have only believed in God for a little more than a decade. You are still a rookie. I have lived the better part of my life and studied religions for decades. I can tell you responsibly, there is no God in this world, and there has never been any Savior. The whole affair of believing in God is too vague. It is completely impractical. We are both knowledgeable people; we should look at matters according to the facts and science. We should believe in scientific theories such as materialism and Darwinism. Why do you have to believe in God? We communists only believe in atheism and the theory of evolution. You need to know that Darwin's theory of evolution is one of the most important scientific theories in the history of science for mankind. According to the theory of evolution, we can be sure that everything was created by the work of nature. Man is the accidental product of nature's biological evolution process. Man had evolved from the ape. This has a sufficient theoretical basis. This shows that man was not created by God. The words written in the Bible are myths and legends that cannot be taken seriously. I advise you to learn more about materialism and Darwinism. These are very practical theories that can resolve doubts. I believe that when you see it clearly, you will have a correct understanding of religious beliefs and come out from the illusory faith. Only by following the CCP will you have a future.